The elitist club of top universities known as the Russell Group has recently threatened that any reduction of student tuition fees will result in cuts to course numbers, as well as the arts and social mobility programmes. The statement comes ahead of the government's delayed publication of a review of post-18 education and funding. 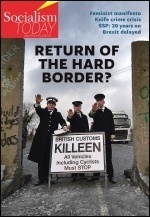 This is widely expected to recommend a reduction in tuition fees from the current level of £9,250 per year. The current funding system, initiated with the Tory-Lib Dem trebling of fees in 2012, cut government spending on universities and lumped the cost onto students as enormous debts. By doing this the university sector was spared from some of the austerity measures seen in the rest of the public sector. But it was always a short-term solution. Student debt is currently at £118 billion, and rising with interest. Three-quarters of students will not pay back their loan in full by the time it is wiped after 30 years, and the state will be footing the bill. The government is now hoping to mitigate this cost by reducing fees, which would bring down the unpaid debt. But with the cost of most degrees substantially higher than current fees, the question is: who will pay for it? If the government offers no further funding, we are likely to see massive cuts, redundancies and even closures at universities in Britain. This would come on top of already very high rates of dissatisfaction among staff and students who have suffered a decade of marketisation. 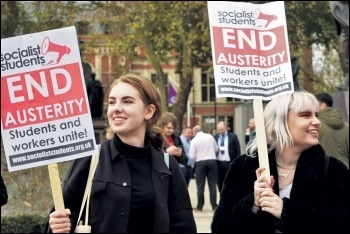 Higher education is one of the most casualised workforces in Britain, and the University and College Union pensions strike last year showed there is already a mood for a fightback. Meanwhile, students are finding universities more concerned with getting them through the door than investing in quality education. 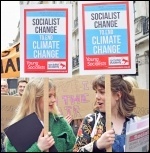 Socialist Students campaigns for free education at all levels, fully funded by the government. Jeremy Corbyn was right to put forward the abolition of tuition fees in his 2017 manifesto. We say he should also come out for the cancellation of all current student debt. And universities must be put under the democratic control of staff and students. If the government is committed to reducing fees without funding the difference, then the trade unions and student activists will need to launch a campaign to defend education from further austerity, including demonstrations and strikes if necessary. Such a stand would have the potential to begin the radical transformation of education we desperately need, and even start a movement that could push the Tories out of power.